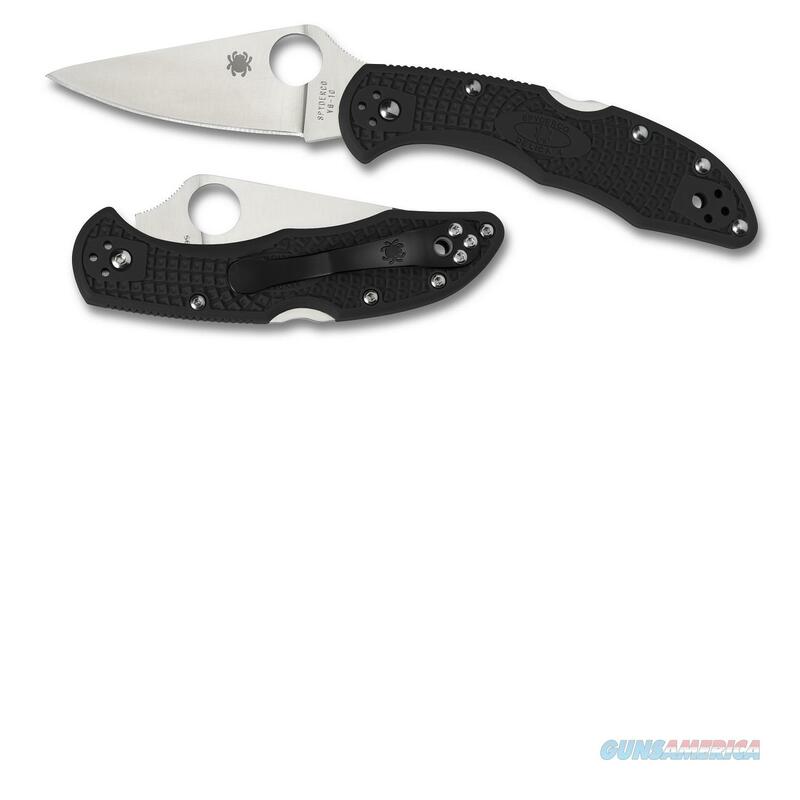 Description: If you already own a Delica or Endura, you have one of the best selling knives Spyderco makes. The knife you have just acquired is a bit different from the normal C10 Endura4 and C11 Delica4 Lightweights. They are now available in a range of new handle colors with full-flat ground blades. Their FRN (fiberglass reinforced nylon) handles come in new vibrant tones including black, blue, green, brown, gray orange and purple. Molded onto the handle's surface is Bi-Directional Texturing? for slip-free tactile traction. Inside the handle are dual skeletonized stainless steel liners which strengthen the knife without additional weight and double as an anchor for external and internal components to attach through generating more sturdiness and rigidity. The blades are full flat-ground VG-10 with a thinner highly refined cutting edge and a larger 13mm opening hole. Added to the blade?s spine is slip resistant jimping. Phosphor bronze washers smooth out the open/close action and the clip is upgraded to a four-way tip-up, tip-down, left-or right-handed clip.